Preschoolers have a whole set of life and learning skills they are conquering. 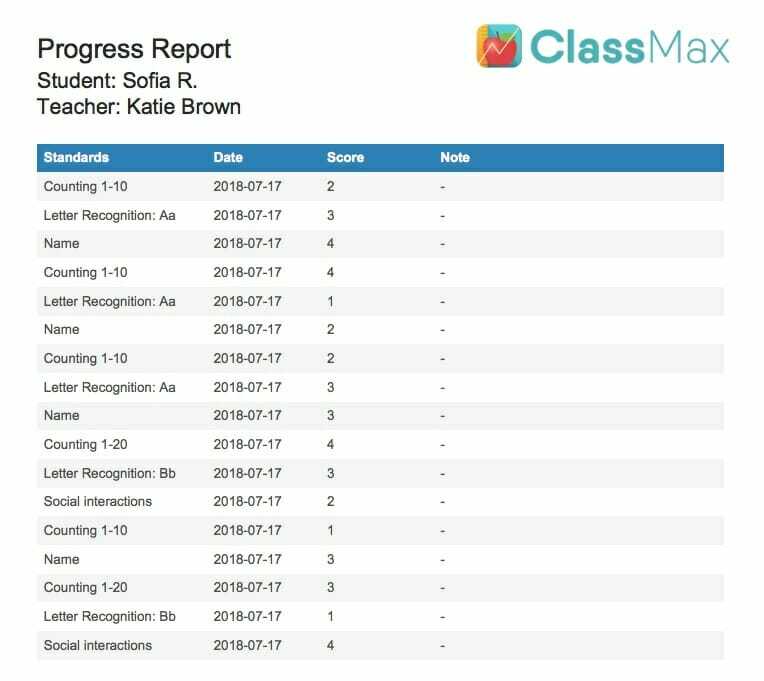 Let ClassMax help you track their progress based on skills set by the teacher. Using our custom standards, preschools can choose what skills and learning targets to assess, such as counting 1-10, letter recognition, and social skills, such as sharing or tying shoes. 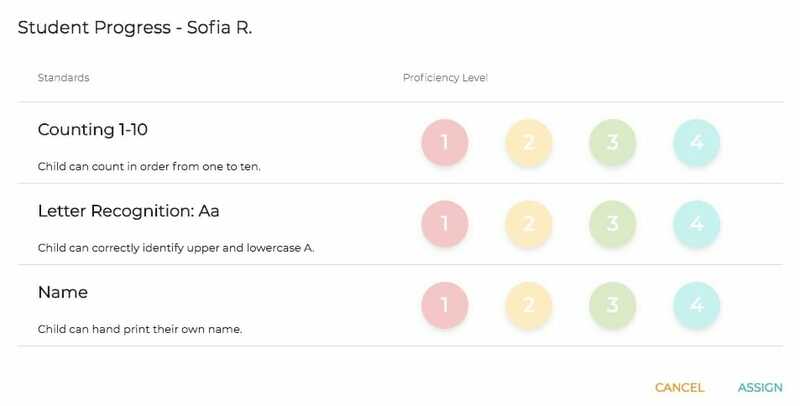 Simple, color-coded scoring of student progress makes recording data easy, quick, and effective in a classroom full of students. Teachers are never more than three clicks away from recording relative, meaningful data. ClassMax offers dynamic reporting on any data collected on a student, such as progress monitoring, behavior, and teacher notes and feedback. 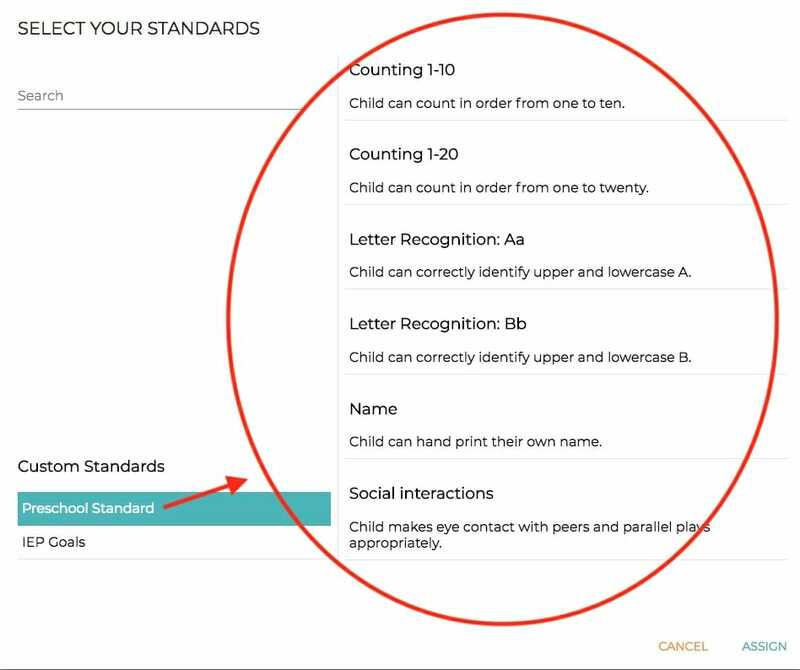 Simple click/print/email options allow for reporting in a variety of methods, satisfying school directors, teachers, and parents! Because preschool teachers need a tool as active as their students! Let ClassMax track student positive and negative behavior. Use our pre-filled behaviors or add your own! Track those little extra steps you take in your classroom to help your students be successful. Use the hall pass feature to track special student activities, such as participating in a sports or arts program. Simple, clear reporting turns your data into a robust analysis of student progress and behavior. ClassMax allows teachers to spend more time engaging with students and less time collecting data. Our secure servers are FERPA, HIPPA, and COPPA compliant, ensuring student data is safe and sound. Get started with ClassMax for your classroom today!